Sweet surprises at every turn. Sydney Food Society's smash hit event has come to Foodi. The Sweet Tooth Safari of the Inner City is running a new date. Places are limited so don't miss out. The gentrification of Sydney's inner city suburbs has lead to a renaissance of food culture like no other. We introduce you to casually cool Chippendale. 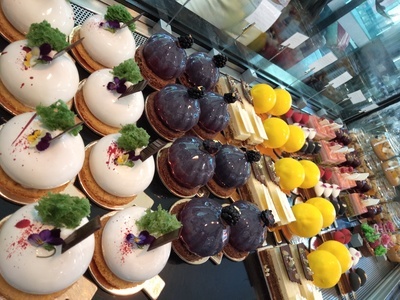 It's fast becoming a hot spot for boutique dessert experiences, in and around the Central Park Mall and dining precinct. 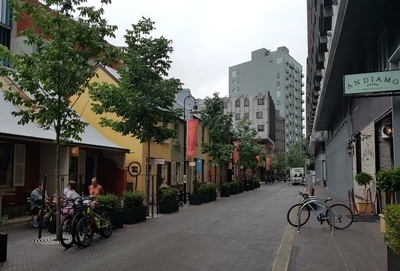 On this walking tour, you’ll soak up the historic and creative atmosphere of the neighbourhood, whilst stopping to indulge in some truly magnificent sweet treats. 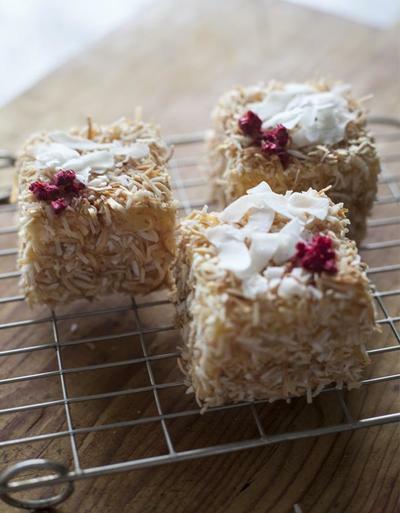 We'll even be trying a boutique dessert bar on Kensington Street, known locally as 'Eat Street'. Love trying new desserts? 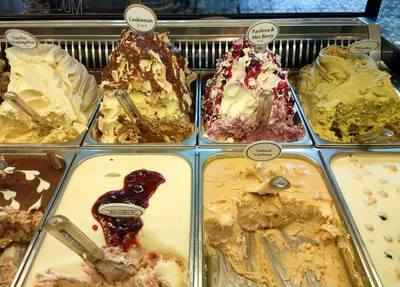 Extraordinary gelato flavours, a classic mousse, or baked delights? We've got something for every sweet tooth on this tour. It's a progressive afternoon tea and discovery tour, you and your friends won't want to miss. From the creators of the long-running Foodi Chocolate Lovers Walking Tour, comes a brand new, limited-run adventure, in the hip heartland of the inner Sydney. 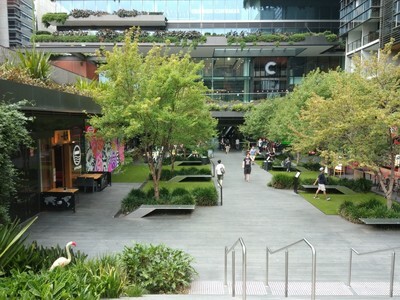 Just a comfortable walk from Central or Redfern Stations, or the bus stops on Broadway, you'll find a modern shopping precinct with a focus on great food. We'll hear from vendors about house specialties, and taste a selection of their delicacies, while your friendly guide directs you to points of historical, cultural and cultural interest in the local area. 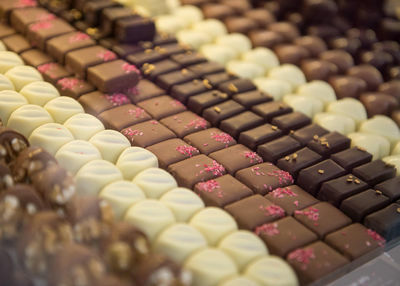 In a relaxed-paced afternoon tour, with set food samples included, there will be an opportunity to grab a coffee or cool drink, to complement your sugar fix, and if you fancy, to take home that special foodie souvenir of your choice. Some walking will be involved on the day, so please wear comfortable shoes and bring an umbrella if the weather calls for it. Not recommended for persons under the age of 13, as it is a boutique desserts tour. This tour will run subject to demand, so reserve your space as not to miss out. You will not be able to take the tour without a pre-paid ticket. Refund Policy: Full refunds are provided for cancellations up to 5 days prior. Dates can be changed up to 3 days prior. Perfect amount of time and pace. Excellent tour for anyone with a sweet tooth. Fabulous guide - entertaining and with a wealth of information. Great. The tastes were lovely, tour guide fabulous. Thoroughly enjoyed it. Excellent afternoon, well organise and ivy was a great tour guide. Some really great places and a good number of people. Great event, excellent tour guide, good variety of foods balanced with a nice mix of local knowledge. We loved it ... well run, informative and totally yummy! Great. Ivy was terrific. It was just the right length of time and walking. Ivy was highly personable and gave informative and relative information. I really enjoyed the event. I liked most of the venues we went to and the samples were excellent. Cannot fault Ivy she was fabulous. Ivy was very friendly, made everyone welcome and ensured we all had a great time. She was very informative and shared some great information about the area and venues. I would recommend to my friends. Enjoyed exploring the area and tasting the food. Ivy was brilliant.